The STEM Books (Science, Technology, Engineering, Math) movement is sweeping across Canada and many other countries. Whether it is ballet or bullfrogs, one of the surest ways for a child to gain interest in something is to expose them to it early on. 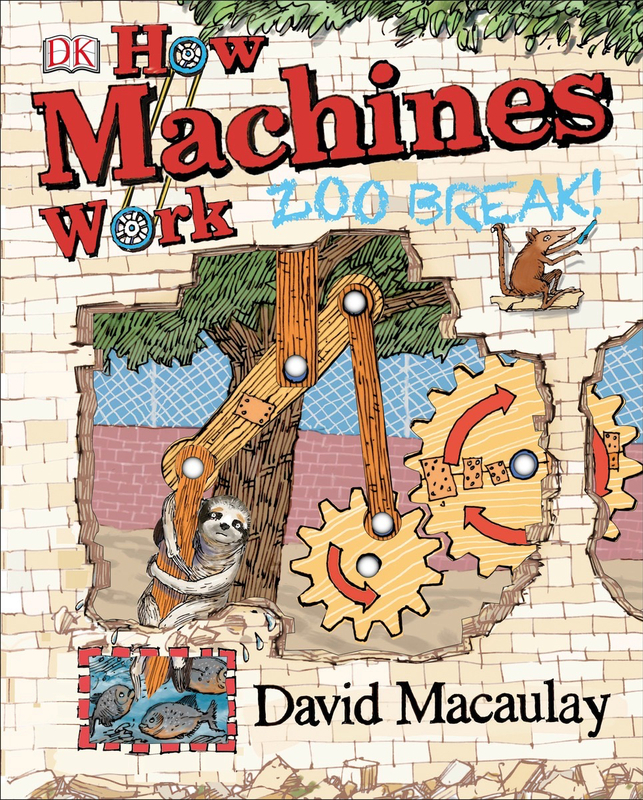 To that end, DK Canada has a selection of STEM related books that are sure to capture (and hold) the interest of even your youngest learner. Sengi characters to place on the simple machines to see them really in action. This is a great car ride, cottage, or grandma’s house book. There are very few ‘loseable’ parts and no outside equipment needed to play. I would say this is a good bet for kids in the 5-10 year old range. 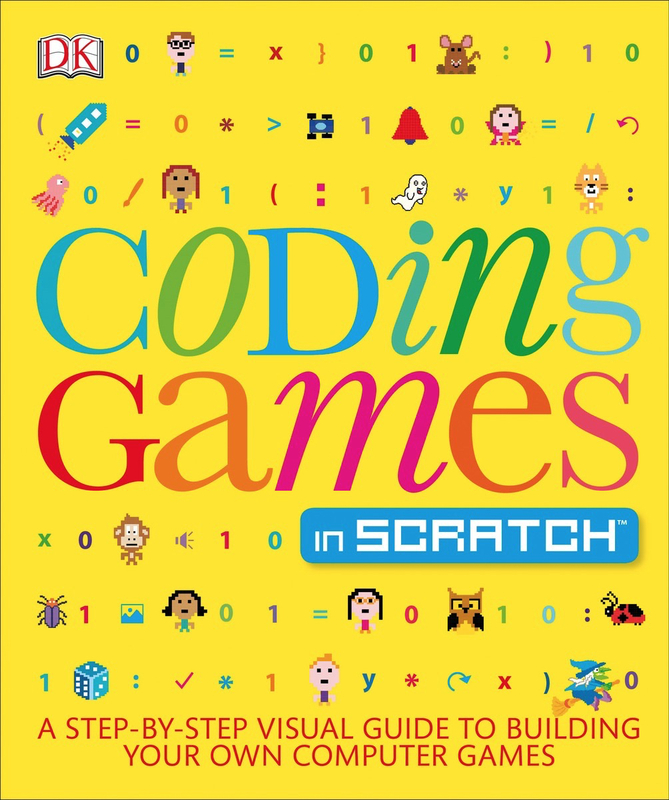 Next up, Coding Games in Scratch. Now, Scratch has nothing to do with the lottery or getting caught in poison ivy. Scratch is a computer coding language It is a relatively simple and intuitive one that lets beginning coders achieve success with significant regularity. The visual format makes it easy to arrange and re-arrange the pieces of code, without the need to remember the exact code sequence. The whole thing is extremely simple, but produces some pretty impressive results. This book is a great alternative to endless hours of Minecraft. You can download and install it on your own computer or use the online version. My 11 year old managed to tackle a number of these projects entirely on his own. The ‘% completed’ bar at the top of each page is a great help. Last but not least, Coding Projects in Scratch. We found this book slightly more advanced than the Games one and definitely more varies. Not to worry, though, the first two chapters walk you through the coding. They will either be a helpful refresher or a useful reference point. What kind of projects are in here? Well, let’s have a look. No time or money for a singing birthday telegram? No problem – create and send your own singing birthday card. Have you run out of iTunes gift cards and can’t get any more games? Fear not – there are tons to be made here. The real world getting you down? Can’t blame you there. There are all kinds of simulations to create and get lost in. The difficulty level in this book varied and E1 completed some of the projects more easily than others. To my way of thinking, this means it will be useful for a longer period of time. Disclaimer: The very nice people over at DK Canada sent me these books to keep my kids entertained. And they were very entertaining. No other compensation was received. All bossy opinions are my own. PS: There a couple of affiliate links in here. If you use those links to purchase any of these titles, I receive a small commission, at not extra charge to you. 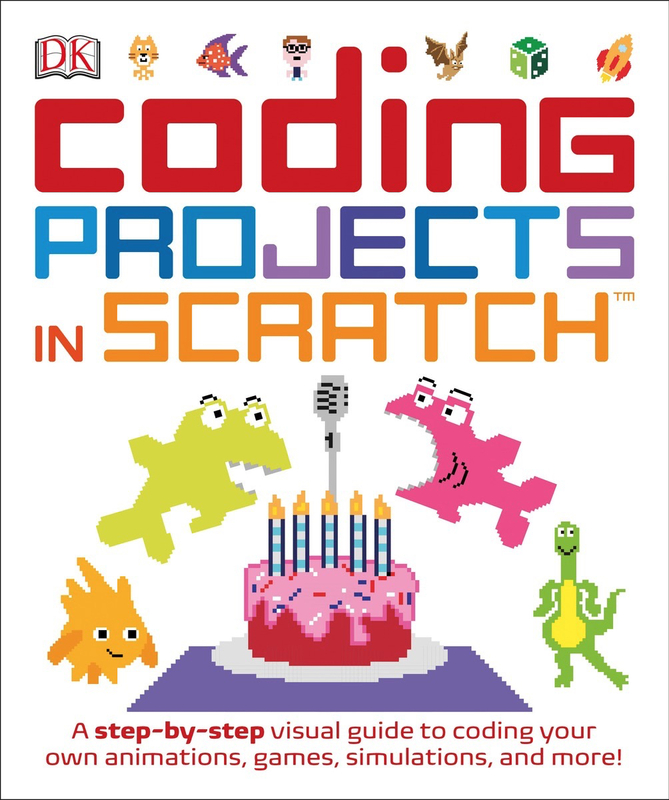 One of my very lucky Canadian readers has the opportunity to win a copy of Coding Projects in Scratch, thanks to DK Canada. Enter using the Rafflecopter form below. Odds of winning will depend on the number of eligible entries received. Not responsible for lost or misdirected entries. Approximate retail value is $25. Giveaway ends September 4, 2017 11:59 pm ET Good luck everybody! 15 Responses to "STEM Books For Young Minds + Giveaway"
I think if it is something I'm interested in and fun makes it more interesting. Just what called to my inner soul and what made me happy is what encouraged hobbies in my life. I allow my children to do the same and allow them to explore many things and if something becomes important we go with it , as a hobby not a job or career or any stress involved , just have fun. My Mom helped gain my interest in painting and knitting,i love both! If it's something that's really interesting and makes me think. Usually that there is some type of brain work happening, and the ability to improve. Eg, right now, I'm into Sudoku, and I'm moving up to harder and harder puzzles. I was a big reader as a child and things characters would do I wanted to as well. Doing hobbies with my sisters is what makes them fun and helped to gain my interest. Other people being interested increases my interest in a hobby. A tv show got me interested in quilting. I would like to stay current so I can help my son in school.